Sadie Smith, from left, 7, Izzy Smith, 9, Bernie Smith, 5, Missy Smith, mother, and Lucy Smith, 7, all of Traverse City, pose Friday, March 22, 2013 at their home. 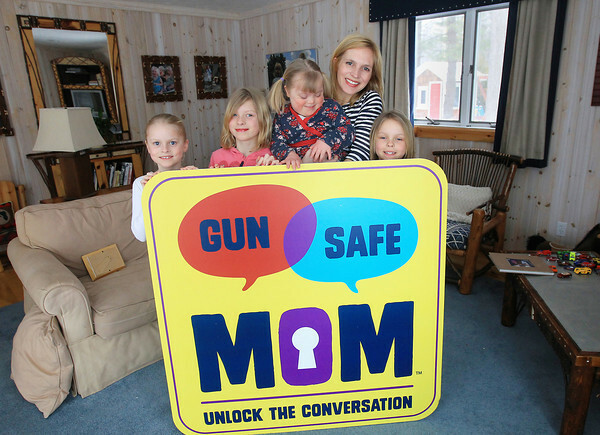 Missy is the founder of Gun Safe Mom. Smith's brother, Jeffrey Carson, was shot and killed in 1986 by a classmate while playing at the classmate's house.